Barefoot In Blue Jeans: My Day! Soooo.... at my Great Grandpa Kirby's, my Aunt and cousins were there. I love hanging out with these little girlies! They are so much fun and so cute! They just do silly cute fun things! This my mom, Isabelle, Raelyn and my Aunt (of course myself included), all hanging out in the back room. I took lots of videos on KEEK of Isabelle and Raelyn, and Brittney and of course myself. It's a really fun app! She is just a cutie patootie pie! both Isabelle and Raelyn! I need brownies in my ice cream, that's how I roll. That's not all... I can't remember what exactly I said, but my grandma just kinda, I don't know... acted as if what I said was so stupid. I love her to pieces! But I just get fed up when people treat me like my opinion or advice doesn't mean anything. Just because I am a teenager does not mean I am stupid. I am not as dumb as I look.... I don't even look dumb! We then left and went to WinCo, my dad and I to get supplies to make nachos for dinner! YUMMM!!! We whipped through WinCo, and went home. 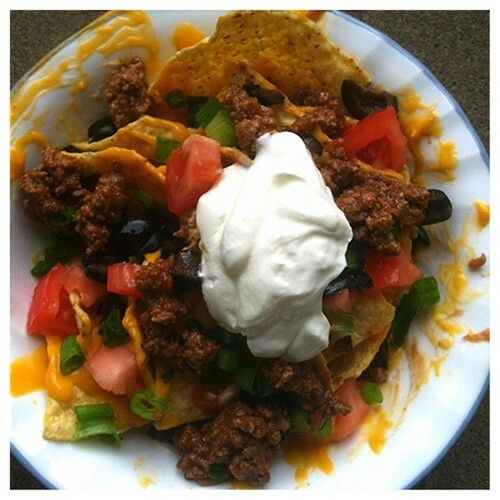 I blogged about Father's Day, and I then we ate the Nachos!! My mom bought a whole bunch of melon! Honeydew, Cantaloupe and watermelon! I love melon! I had that as a little dessert, since I had sugar all day long. 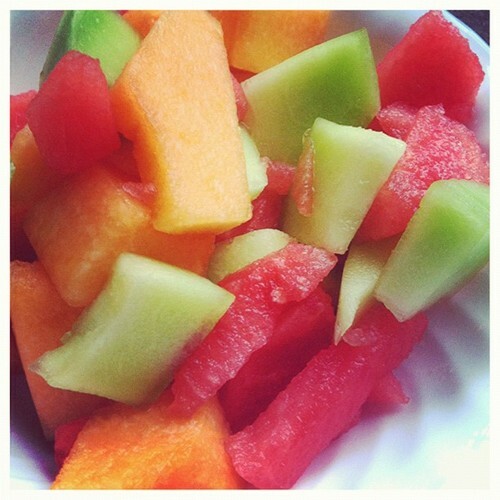 Melon is like the only fruit that I can eat and won't get tired of it. The cute colors, and popularity. You can do so many cute things with melon! Tomorrow should be even better! I hope so. and I am getting together with my cousin Abbie! I'm so excited to hang out with her! I have lost so many friends... ok! getting off track.